Plants are people too! Their chlorophyll is on your hands! Hemp is Homicide! 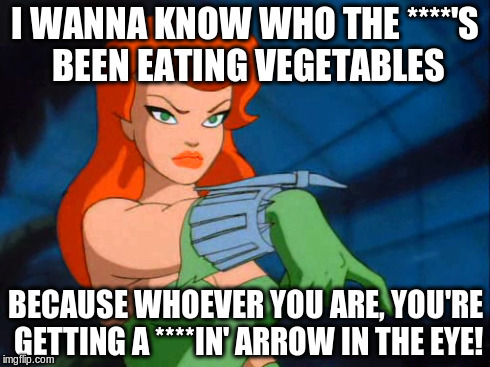 I WANNA KNOW WHO THE ****'S BEEN EATING VEGETABLES BECAUSE WHOEVER YOU ARE, YOU'RE GETTING A ****IN' ARROW IN THE EYE!